Passengers often don’t realize the check-in agents they deal with at airports don’t work for the airline they are flying. Often, at smaller airports, the same workers may represent multiple competing carriers. United pays such workers from $12 to $24 an hour, while some vendors start workers at $9 an hour and don’t offer health coverage or travel benefits. Outsourcing the work will save United $1.6 million to $3.5 million per airport a year. “It does make economic sense,” said an industry consultant. “It’s not a $40,000 job to load bags. Cleaning planes is not a $20-an-hour job. But the outsourced work offers no career path, no loyalty. By its nature, it’s temporary, until the next bid comes up.” Indeed, the transition can be bumpy. 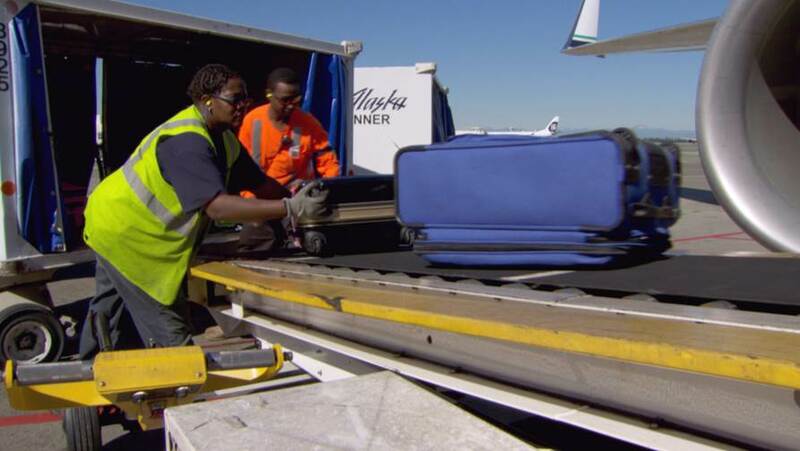 When Alaska Airlines decided to use Menzies Aviation to handle ramp jobs at its Seattle hub in 2005, the shift was marked by misplaced luggage, late flights and an incident in which a damaged aircraft had to make an emergency landing. But the problems eventually were corrected. In some cases, airlines are outsourcing airport work to their competitors. United last year turned over 500 jobs to a unit of American Airlines. United has said that as many as 30 more airports may be targeted for outsourcing, based on their higher expenses when benchmarked against competitor airport costs.